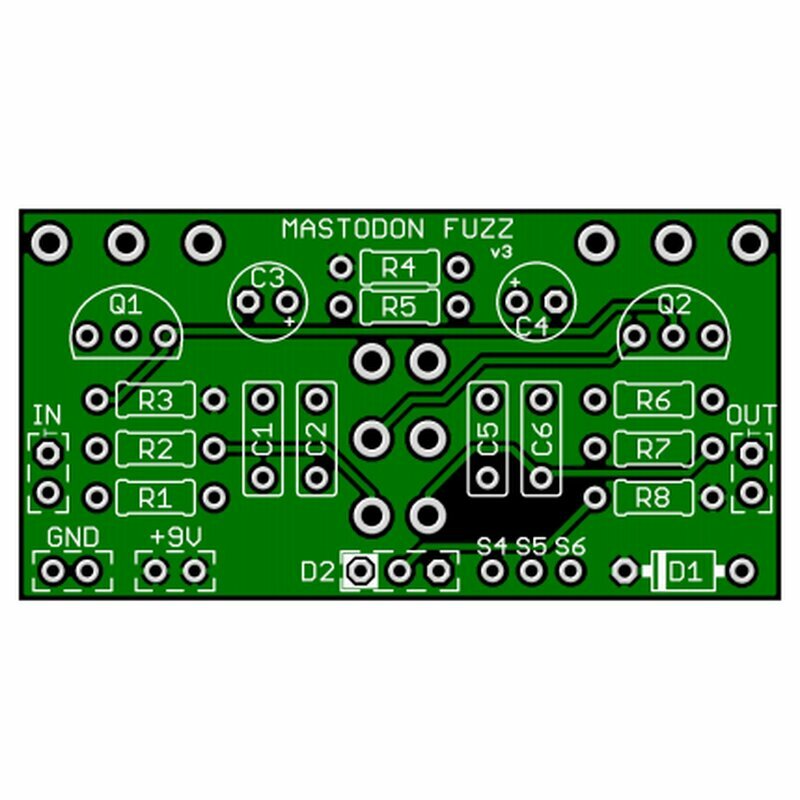 The Mastadon Fuzz is a mammoth-like Fuzz Face variant with 4 separate controls. Due to its great loe-wnd it is excellent for Bass, but of course also for guitar! 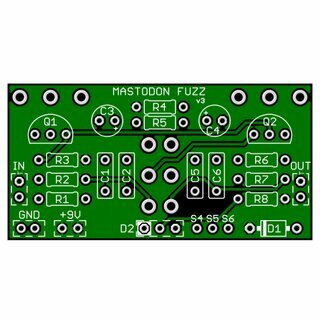 The pcb has a size of 35mm x 35,5mm.